The clean and simple Alabaster White finish emphasises the perfect symmetry and precision of the Alto range. It’s the ideal canvas for you to build your dream bedroom on and understated style at its very best. 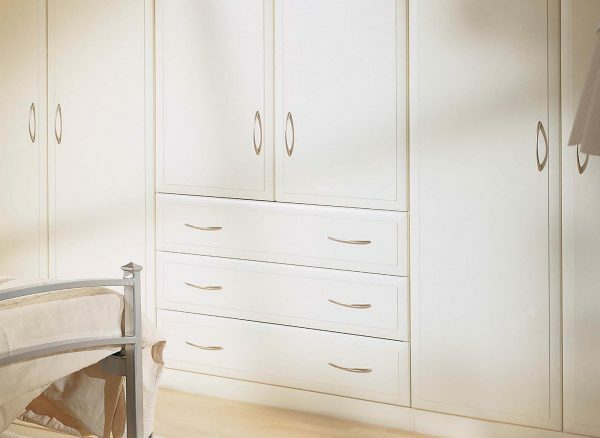 We design and hand make our fitted bedroom furniture to suit you, so you can decide on the exact wardrobe configuration you require, along with which designer touches you desire, including statement handles, mirror fronted doors and LED lighting. The modern fitted furniture in this Alto bedroom has been finished in a simple shade of white. 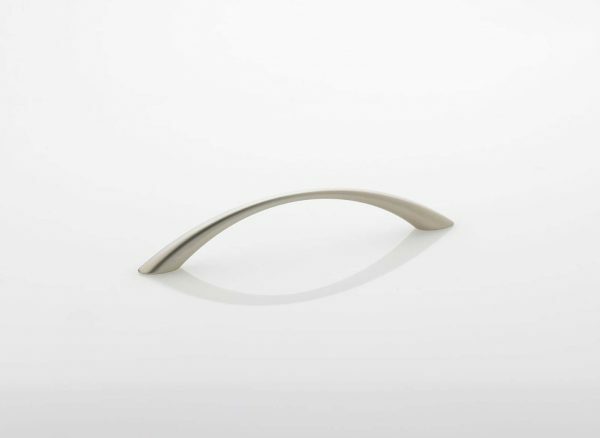 In order to add a touch of elegance, brushed metal handles with a subtle curved design have been added to the fronts of the wardrobe and drawers. Strachan offers a range of different knobs and handles so you can find the perfect match for your designs. Every accessory and clothing collection requires an array of different storage options. Your fitted wardrobes can be configured to suit your individual needs. This Alto design features two full length wardrobes, which stand either side of a double wardrobe with three drawers below. All Strachan drawers come with a soft close feature as standard and are also available as separate freestanding designs. With bespoke Strachan furniture designs, we'll create storage solutions to fit your needs and available space. This contemporary Alto bedroom features a shelving unit fitted in the corner, with a matching panel below to accommodate the bedside table in front.